Podcastsinenglish.com is a partnership between Richard Cain and Jackie McAvoy. Between them they have over thirty years of teaching English as a foreign language and teacher training experience. They met while working for the British Council in Vietnam. They both have the Cambridge DELTA, and Richard has an MA in TESOL. At various British Council centres Richard has been responsible for examinations, teacher training and young learners. He managed the British Council Teaching Centre while working in Jordan. He has written articles about podcasting for Modern English Teacher and presented papers at international conferences. These include at Chulalongkorn University in Bangkok, The American University in Cairo (AUC) and the IATEFL conference in the UK. He has been interviewed about podcastsinenglish.com for English Teaching Professional magazine. Jackie has also spoken at an IATEFL conference - in Cardiff on writing. She has since given other presentations on reading or writing at the VTTN conference in Hanoi and Thai TESOL in Bangkok, Thailand. In 2012 Jackie was invited to give a talk at the Macmillan Teachers' Day in Madrid. She spoke about the advantages and difficulties of using authentic listening in the classroom. She has also delivered training sessions on the benefits of students listening to 'real English' most recently for the English Language Centre in Cascais, Portugal. Jackie is an author for Macmillan Education and a contributor to the Macmillan teaching website onestopenglish where she has written many lesson plans for the reading and writing sections. Her latest work for onestop was a series of video / audio projects. She has been author of the month. Her first book was Essential Reading which was published in August 2007. It is aimed at the Asian market. She has since rewritten the book for the international market and this is called Effective Reading. 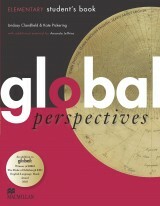 Another project was co-writing the beginner level of Global - the latest range of course books for adults from Macmillan. You can try a free unit here. More recently the course has been created with regional diversities in mind, you can find out more about Global Perspectives here and get a free unit too. 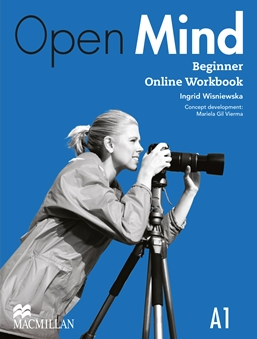 2015 saw Jackie writing content for the online version of Open Mind, "the ground-breaking new course for today’s adults". She has written the reading section for the beginner's unit.